Ah Ah Ah Ah… Stayin’ Alive! Stayin’ Alive! One of the few ‘miniatures’ you must use the ‘Shindig Pandemic’ special power with! 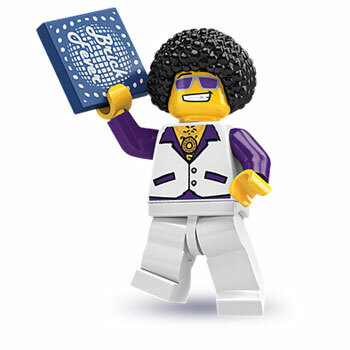 Just imagine a Blood-Thirster taking on the Lego disco dude – that would be an awesome battle. In fact first person to post a GtB battle report of such a game online (including photos) will get themselves a Project Good Mug or T-Shirt… Burn baby burn – disco inferno! !